Big announcements have been consistently happening over the upcoming production of Sathya Jyothi Films’ “Production No.34” starring Dhanush in lead role. Well, the announcements involving this projects (Production No. 34) directed by Durai Senthil Kumar and “Production No. 35” helmed by Ratsasan fame Ram Kumar on New Year Day had set the expectation meters hitting the strongest point of radar even before its commencements. While the shooting of Durai Senthil Kumar directorial is happening on full swing, it’s exhilarating to see stupendous brands are being tagged to this film. 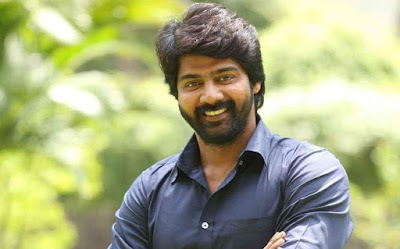 The latest one to join is the versatile and vibrant actor Naveen Chandra, who will be playing an important role in this film. Filmmaker Durai Senthil Kumar says, “We are happy to have Naveen Chandra onboard. His performances in different shades have garnered good response. We are happy that his presence would be offering an additional value to the film".